Kyneton, once Victoria's agricultural hub, has reinvented itself as a booming culinary tourism destination. 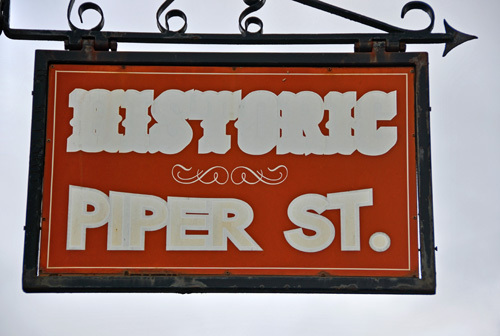 Piper Street, with its 19th Century building facades offers everything from organic biscuits and European style cakes & pastries at Inner Biscuit to the award winning delights served up at Annie Smithers Bistro. And there's a bit of everything in between from gourmet pizza at Pizza Verde, the incredible flavours of the Middle East at Mr Carsisi and the great tastes of India served up among jars of spices and 'Bollywood' music at Dhaba At The Mill. The explorer Thomas Mitchell crossed the river near present day Kyneton in 1836 and named it the Campaspe. 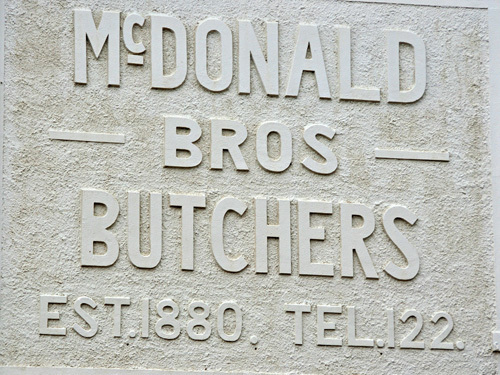 Within a year the first settler, CH Ebden arrived to establish Karlsruhe Station and the area became a popular stop over for teamsters on the road to Bendigo. By 1849 a few rough buildings had appeared and the site had been selected for development as a centre for local government and law enforcement. With the 1850's came the great Victorian gold rush and Kyneton experienced rapid growth as the town became a coach stop and a supply centre for the gold fields of Clunes, Castlemaine and Bendigo and for the diggers enroute to those fields. Agriculture boomed and Kyneton proved vital in the production of food stuffs for the gold fields and Melbourne. At the same time the town's prosperity led to a building boom which saw the quarrying of local bluestone flourish. 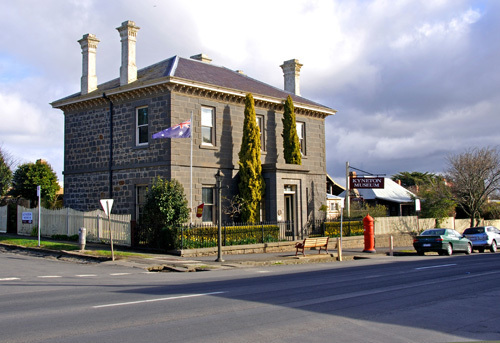 Kyneton today is home to some of the best preserved colonial bluestone buildings in Victoria, including the local museum. The museum is housed in the old Bank of New South Wales, an imposing bluestone building constructed in 1856, a symbol of the wealth generated in the district by the gold rush. The museum offers a fabulous insight into the districts history and the building itself with its upstairs residence and secret vault. Just 85 Kilometres north of Melbourne and easily accessible via the Calder Freeway and V-Line rail Kyneton has become popular with young families willing to commute to work in the city. 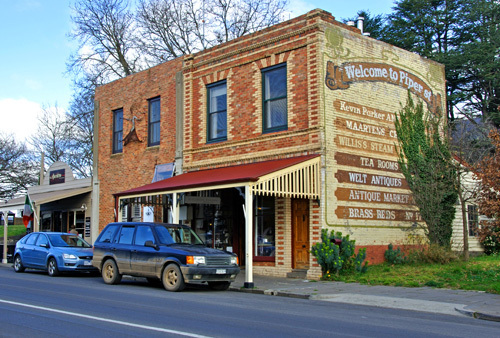 Its history, rural atmosphere, developments such as Piper Street with its collection of cafes, restaurants, galleries & antique shops and the host of quality B&B's and Farm Stays scattered throughout the region make it popular with visitors from Melbourne and elsewhere. 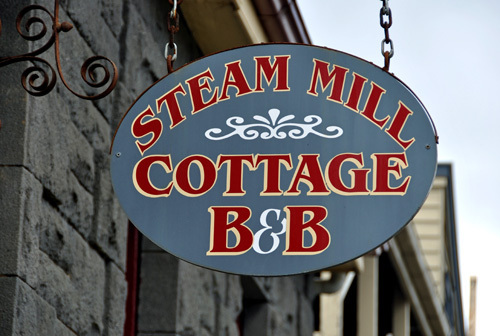 It's also central to an abundance of other attractions including Hanging Rock, Mount Macedon and the remnants of gold rush history at places such as Fryerstown, Clunes, Maldon and Castlemaine. There really is a little bit of everything in this part of central Victoria, making it a great 'get out of town' destination.